People must think the LA Citizens credit must have been created by the late Rodney Dangerfield, because it continues to "get no respect" from LA taxpayers. I just read that over 50% of the allotted funds for this credit have gone unclaimed. The average credit hovers at just over $100 per year and it is a refundable credit. 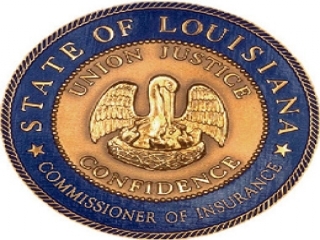 These funds come from the "LA Citizens" or "LA FAIR Plan" or "LA Coastal Restoration" fees you see on your Louisiana property insurance policies. The policies typically containing this assessment include homeowner policies, business property policies, and renter's policies (no auto policies). The only way to file your claim is to either file it on your annual income tax returns or to file stand-alone forms 540INS (if individual) and form 620INS (if a business). Since the state only allows you to file a claim for the past three years, once a year closes, you lose your chance to recoup that money. This is not capricious on LA's part, it's by statute. Currently only credits for the years 2012-present are available to be claimed. Once 2016 ends, the 2012 credit will be unallowed and no longer available. Because we know for a fact that a lot of people forget, or aren't asked, or don't file LA taxes...etc, we've been posting the stand-alone forms for you here on our site since we set up our web site (hit "files" tab above and then "Tax Forms-LA"). However, please keep in mind that they should only be used to claim a credit if you haven't already done so on prior year LA tax returns. Some of you claim this credit religiously each year, some are more sporadic, and some are just learning about it right now. To check if you've already claimed the credit in prior income tax returns, look at line 22 of your LA tax return. For you businesses out there, check line 15 of your LA corporate tax returns. If there's a figure there, you already claimed it and don't need this form. The best we can suggest is that you bring in your insurance policy with you to your tax appointment. If you don't know where it is, just call your agent and ask them to mail it to you or fax it straight to our office. Our fax# is 504-443-3558. Whether you file for this credit on your own by using the stand-alone forms, or you bring the policy to your tax appointment, make sure the effective date starts on the year you want to claim. For example, a policy with a term of coverage between "4/23/2015 - 4/22/2016" would be filed on a 2015 form because it took effect in 2015. Don't let the state keep your money. Tell your relatives and friends about the LA Citizens Credit--and about us! !